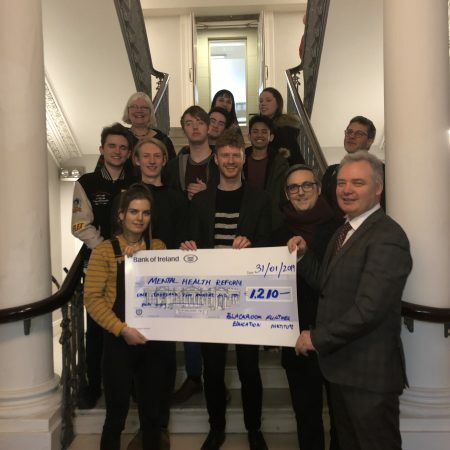 We are delighted that you are considering raising funds for Mental Health Reform and we are so grateful for your support! 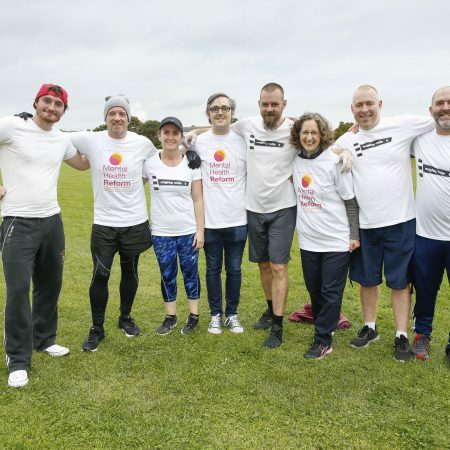 Your contribution can help play a role in helping people achieve their best possible mental health. 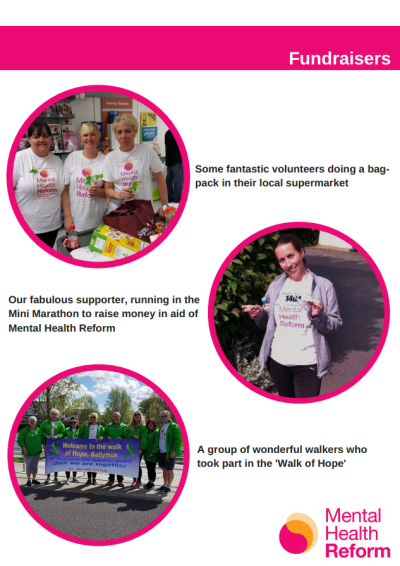 On this webpage you will find more information about what we do, tips and tricks for fundraising, and how we can support you as you so generously raise money for Mental Health Reform. 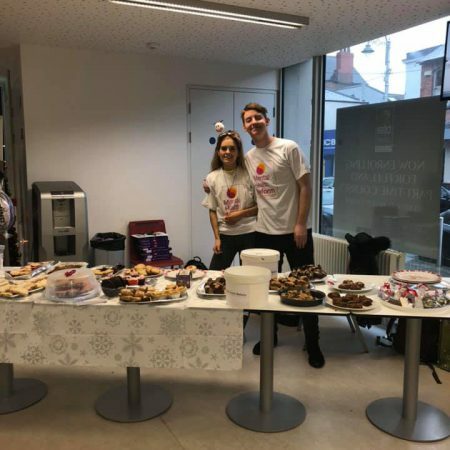 Our team are on hand to support you as much as they can, do get in touch if you would like to speak with us to have a chat about fundraising. 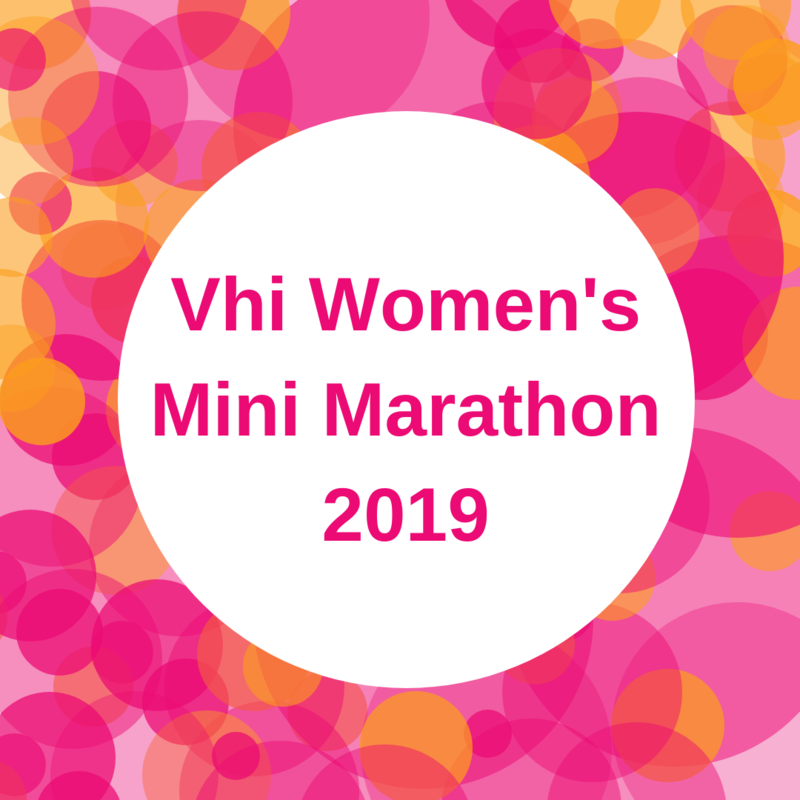 The Vhi Women’s Mini Marathon is open for registration on February 28th and we would LOVE you to join the ranks of some of the wonderful women who walked and ran for Mental Health Reform. 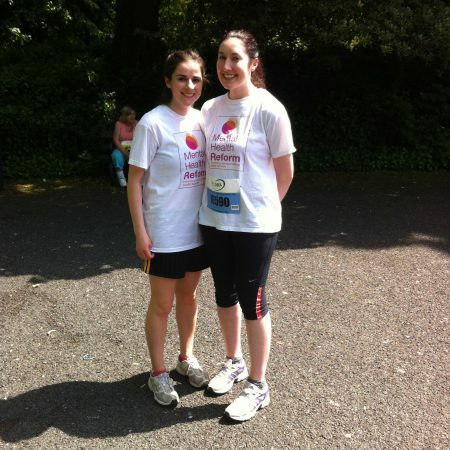 Find out more about the Vhi Women’s Mini Marathon here. as a useful resource in your fundraising. 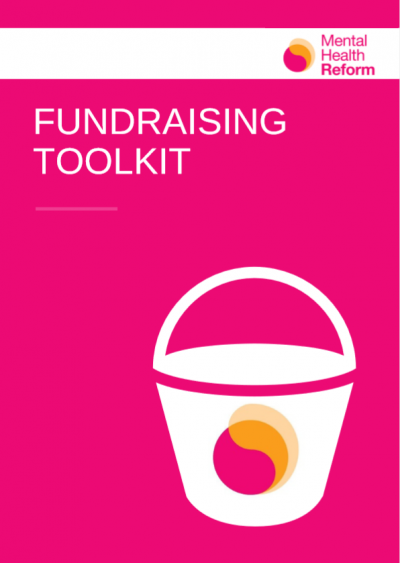 In the Toolkit, you will get some great hints and tips about fundraising, learn how we can support you and how your generous donations will make a difference! 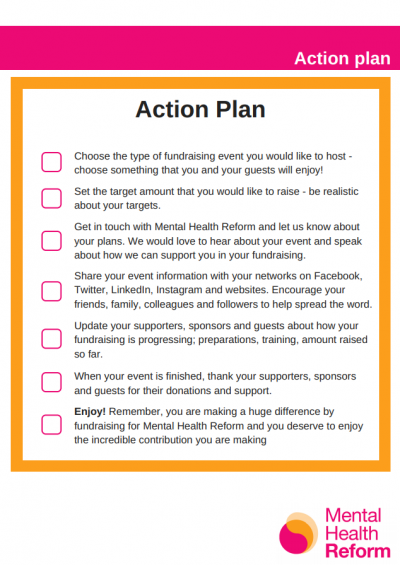 Why fundraise for Mental Health Reform? 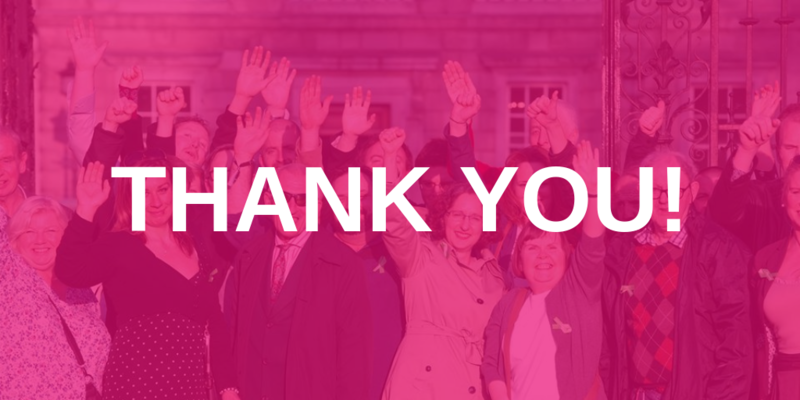 Our campaign work relies on the generous donations, like yours, to make our voice louder. Without our supporters, we would not be able to advocate for the needed change to our mental health system or work to ensure people can get the mental healthcare they need. Pre-Budget Campaign: Calling on the Government to end the decades of neglect in mental health by investing in mental healthcare. We need to have our voice heard by Government so they will invest in the services and supports we need. 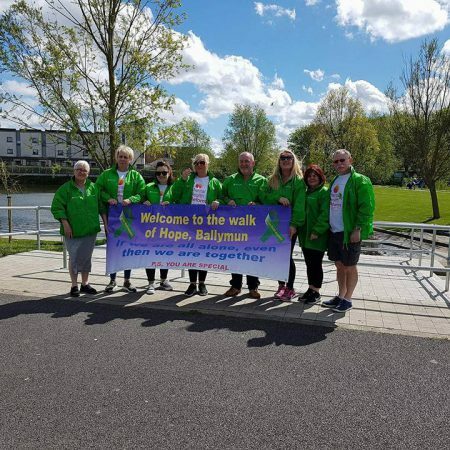 Reform the Mental Health Act (2001): Ireland’s Mental Heath Act needs to be updated urgently so that people who need to go to hospital for mental healthcare have their rights adequately protected and they can feel safe accessing the mental health services they require. 24/7 Crisis Mental Health Supports: A mental health crisis can happen at any time, day or night. Therefore, it is important that mental health services are available 24/7 so that people who need help can find it quickly, in their own community. Mental Health Reform is the leading national coalition on mental health in Ireland. We have over 60 member organisations, representing a broad range of interests, like housing, disability, children’s rights, human rights, ethnic minorities and many others. Mental Health Reform provides a unified voice campaigning to drive progressive reform of mental health services and supports in Ireland. 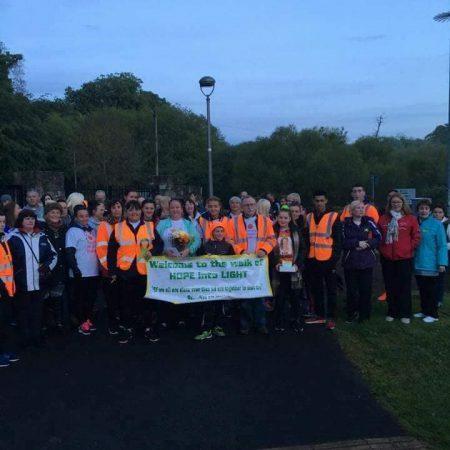 An Ireland where everyone can access the support they need in their community to achieve their best possible mental health. To be the unifying voice that drives progressive reform of mental health services and supports in Ireland. We promise to help you, our valued supporter, as best as we possibly can. 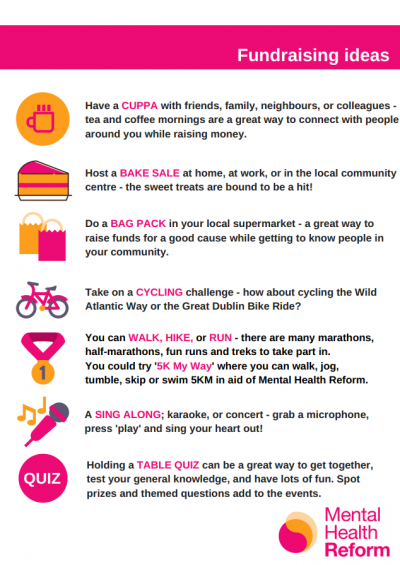 Contact the Mental Health Reform office to get in touch with our team about your fundraising ideas. A team member will work with you throughout the planning process for your fund raiser; from concept to completion. 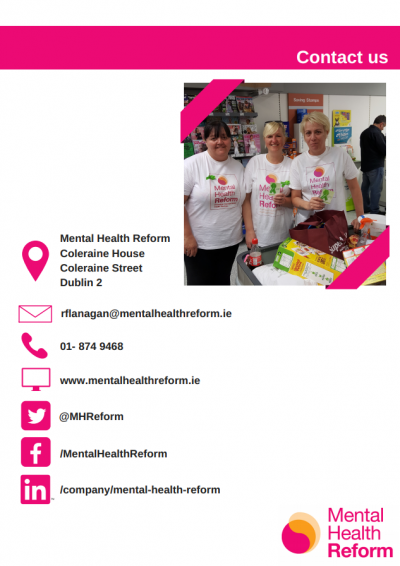 We can supply you with Mental Health Reform t-shirts, posters, collection buckets, guides, as well as promote your fund raiser to the thousands of supporters of Mental Health Reform. 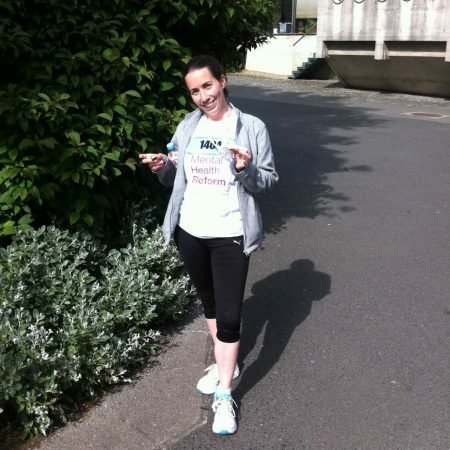 Where possible, a member of our team will attend your fund raiser. We are a small team in Mental Health Reform but we will do our best to go to your event and meet all those who are supporting your fund raiser. You can create a fundraising webpage on everydayhero which you can easily share with your friends, family and network online. When setting up your everydayhero page, make sure to select Mental Health Reform as your chosen charity and set the target you wish to raise. The website, everydayhero, will ensure that your donation gets sent to us. Be sure to get in touch with us, if you are donating by cheque so we can thank you personally and stay in touch. Be sure to get in touch with us, if you are donating by Bank Transfer so we can thank you personally and stay in touch. 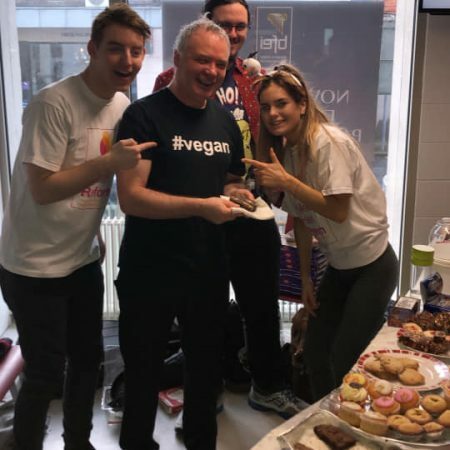 If you are an Irish taxpayer and you donate a total of €250 or more in a calendar year, the value of your donation can increase at no additional cost to you. For example, if you have donated €250 in one year this could be worth €362.50 to Mental Health Reform, at no extra cost to you. Simply complete a CHY3 Form and return it to us by post.